Editors note: This is one of our very occasional sponsored posts from Reliant, which brings Space City Weather to you free of charge, with no intrusive advertising. Thank you for reading. 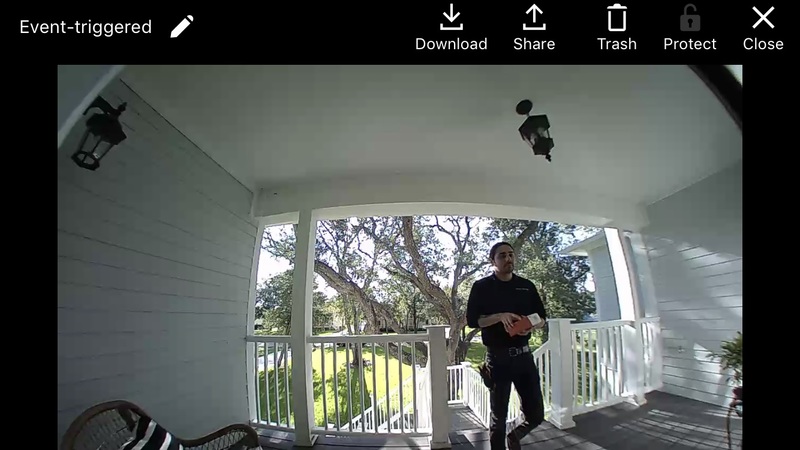 Over the last month, I’ve been testing a Google Home Hub from Reliant—this is one of those “smart” devices that you’ve probably seen a commercial for on television. A Google Home Hub is essentially a voice-activated smart tablet that allows you to control other “smart” devices in your home. We put ours in the kitchen, next to the refrigerator. (This is, after all the hub of our home). A little bit bigger than a post card, the device is small enough to be inconspicuous, but large enough to be useful. Reliant has partnered with Google to allow customers easy access to their electricity usage. 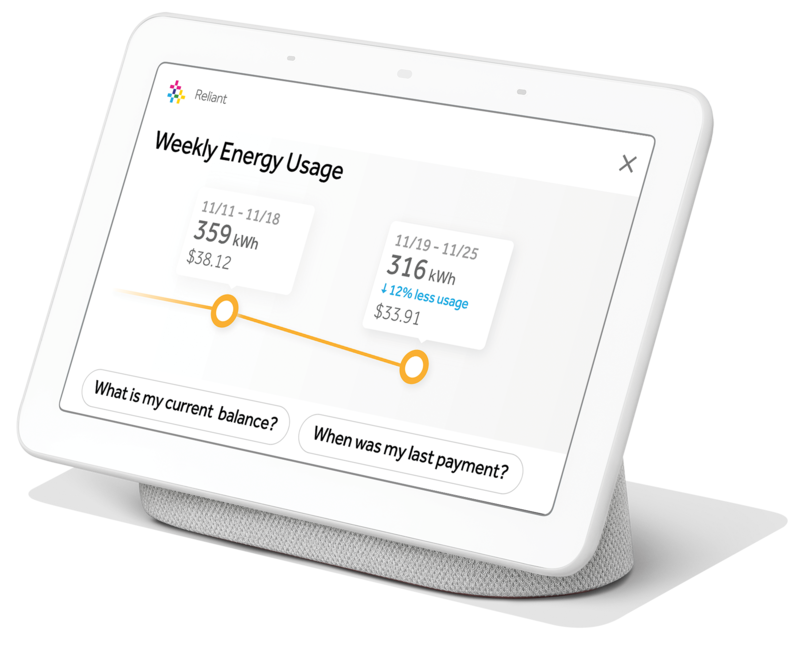 Finding out your daily electricity consumption is as easy as saying, “Ok Google, ask Reliant how much electricity am I using.” From there you can find billing information, pay your bill, track usage, and look up other details about your account. This is something I’m looking forward to using this summer when electricity usage rises along with temperatures. There are more features, too. 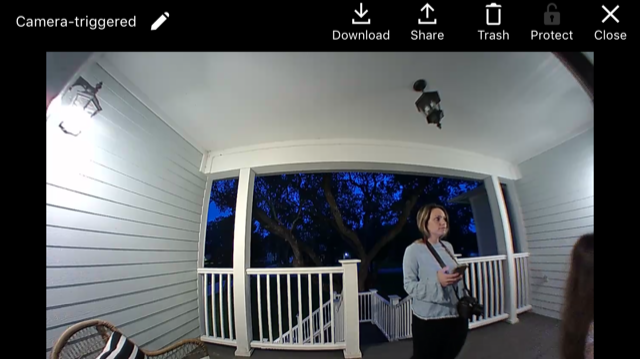 You can use the Google Home Hub to adjust a Nest thermostat, or see who is ringing the front door bell. As a parent, I’m increasingly concerned about the number of screens in our home. But so far, this one doesn’t seem to have taken time away from interacting with our kids. I’d have to say it’s increased our time together because we use the device as an excuse to cook more. Don’t know if that will last, but it’s been fun so far. And if you’re worried about privacy, it’s easy to turn the mic off manually, so the device isn’t listening all the time. Regardless, we’ve found the Google Home Hub to be a convenient smart home device with a ton of possibilities—everything from checking what your commute looks like or asking when the new season of Game of Thrones begins—all powered by just your voice. And it’s pretty awesome that our hometown electricity provider has a partnership with Google to provide more insight and access to our electricity usage, making it easier for us to take control of our bills. 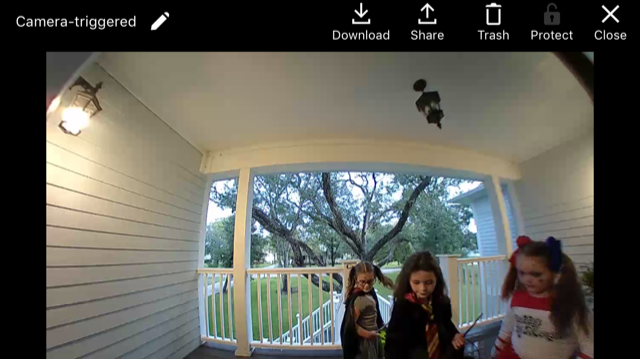 Reliant tells me they’re the first energy company in the country to create visual displays that provide personalized energy information—pretty impressive if you ask me. If you’d like a Google Home Hub, Reliant is offering one right now as part of a bundle with their Truly Free Weekends plan. You can learn more about that here. As we noted in this morning’s post, it’s allergy season outdoors, particularly from tree pollen. Sneezing, itchy eyes and other symptoms are pretty common right now. But did you know there are indoor irritants that can also cause these symptoms and you can do something about it? With this post, our sponsor Reliant wanted readers to know that now is a great time to consider what you can do to improve the quality of the indoor air inside your home. Do you have respiratory issues that improve when you leave your home? Does the air inside your home feel damp or stuffy? When you enter your home, do you notice that smells linger? So what is an air quality check-up? As part of this service, air quality specialists perform a visual inspection of your home’s HVAC system, assessing the quality of the air you and your family breathe. There could be any number of underlying problems, from poor ventilation to unexpected sources of odors and allergens. Reliant offers an indoor air quality assessment for just $49. This service is available to anyone, regardless of electricity provider, but Reliant customers receive 10 percent off. People often think Reliant only provides electricity, but they do a lot more than that! They want to ensure Houstonians feel safe and secure in their home, which is why their home services team provides indoor air quality checks, along with HVAC repair and efficiency services, home maintenance and home security. If you’re interested in having your home’s air assessed, please call (833) 480-7835. During Hurricane Harvey I hunkered down with two fully charged laptops, a mobile phone, and several power banks to keep the phone charged. This was perhaps not the most professional setup, but I was living in a third-floor apartment at the time (we were building a home), and frankly I did not think sustained power loss would be a major concern. Fortunately, the power never blinked off during Harvey, and I was able to remain connected at all times to the Internet and this site. The power staying on, however, is the exception rather than the norm during a hurricane. So I knew I needed a better solution for future storms. 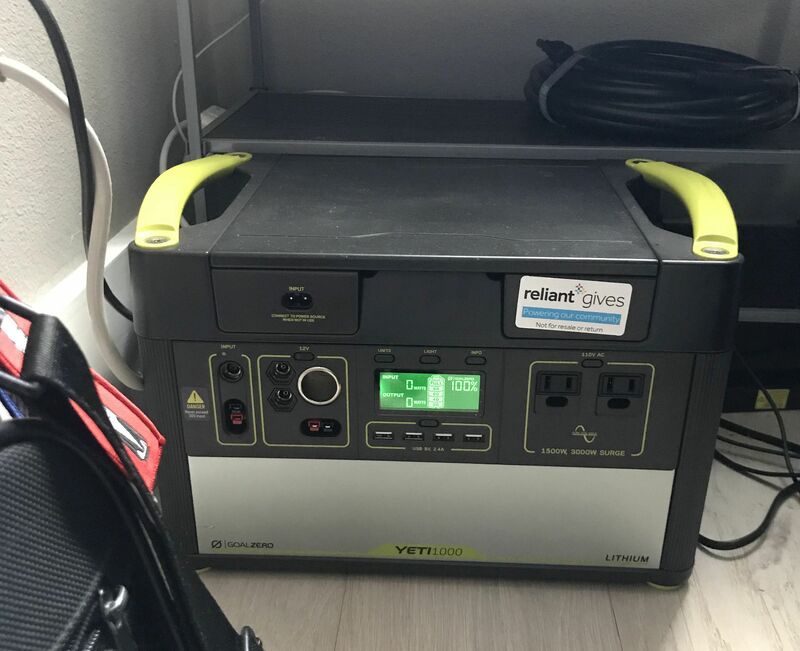 Fortunately our sponsor, Reliant, had a solution and provided me with a portable power station—the Yeti 1000—from their sister company, Goal Zero. The Goal Zero Yeti 1000. I am not a particularly handy person, so technology like this intimidates me a little bit. One box arrived with the power unit, and the other a solar panel about one meter in length and diameter. What was I supposed to do with this? It turns out that the Yeti is ridiculously easy to use. The first step was to plug in the power unit—about the size of a 12-pack of beer, but twice as heavy—into an electrical outlet. Within about six hours the battery was fully charged. This was a month ago. I checked the unit just now (which is tucked behind a chair in my office), and it remains at 100 percent. I understand the battery will maintain a full charge for nearly a year so I can simply put the unit away and forget about it until the power goes out. And what happens if the power goes out? This unit could literally power two laptops and several mobile devices for days, and days, and days. It could also power a medium-sized refrigerator for about a day, before the battery runs down. In that case, one could use the solar panel (which is also plug and play) to recharge the power unit during the daytime. Of course, during a hurricane itself, you’re not going to get much sunshine. But after the storm, certainly, this could probably keep a medium-sized refrigerator going intermittently for several days with the use of the solar panel. I can’t speak to this for every refrigerator or larger appliance, but if you have questions they can be answered by [email protected]. Additionally, the unit itself has a digital display that regularly updates the amount of power being used, and the battery time remaining. It is all incredibly intuitive. My Yeti, still fully charged after sitting dormant for a month. This unit is not meant to replace the full-home functionality of a large outdoor generator. That is not its purpose (nor its cost). Rather, it is meant to provide some peace of mind during a storm, to keep a few lights on, a fan running, power a television, or to keep your electronics charged. Moreover, it does so in a compact package, with absolutely no noise or mess. And when it’s not storming? 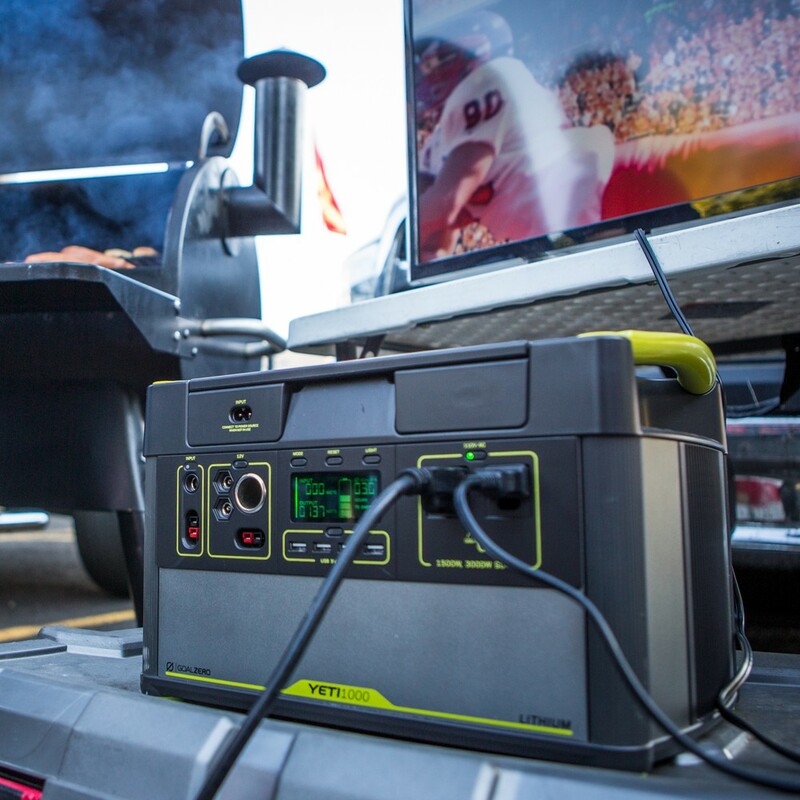 This is an amazing unit to bring tailgating, camping, to the beach, or anywhere else you don’t want to entirely leave the comforts of civilization and connectivity behind. But mostly, for me, it brings piece of mind knowing that during the next storm I’ll be able to remain plugged into Space City Weather, and provide timely information and weather updates to all.